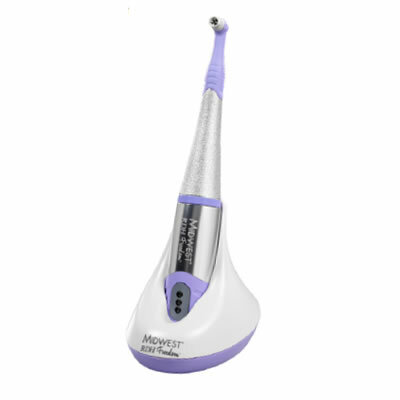 Enhanced efficacy, ergonomics, portability, and patient comfort are at the forefront of advances in dental air polishing and air abrasion systems. 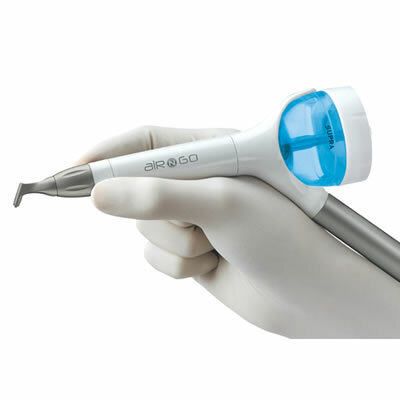 Air polishing is performed with propulsion of abrasive particles through a handpiece nozzle in a compressed air/water mixture, using a self-contained delivery system or one that attaches to a handpiece. 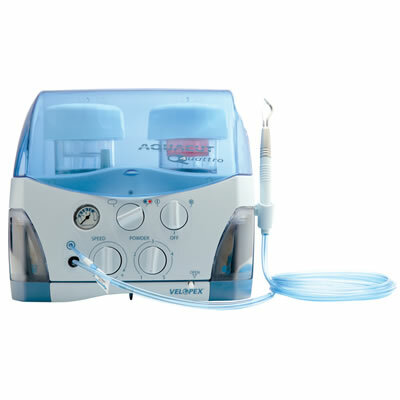 Examples include an autoclavable handpiece that keeps the water separated from the air-powder jet, a unit with a built-in heater and smaller granules that are gentler to soft tissue, and a system that uses air, water, and a sodium bicarbonate or nonsodium powder slurry to remove extrinsic stain, plaque, and soft debris while polishing tooth surfaces. 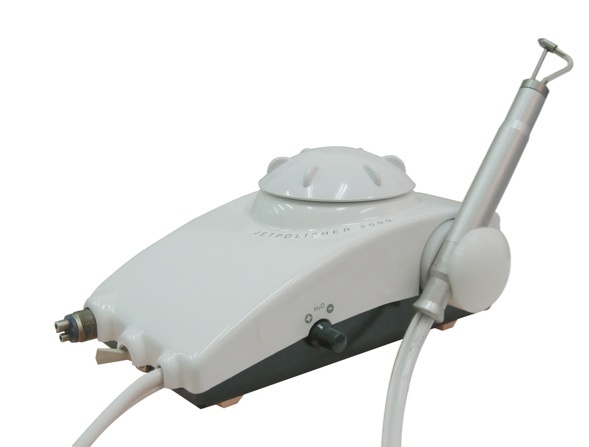 Cordless, lightweight air-polishing units with wireless foot pedal control are increasingly popular. 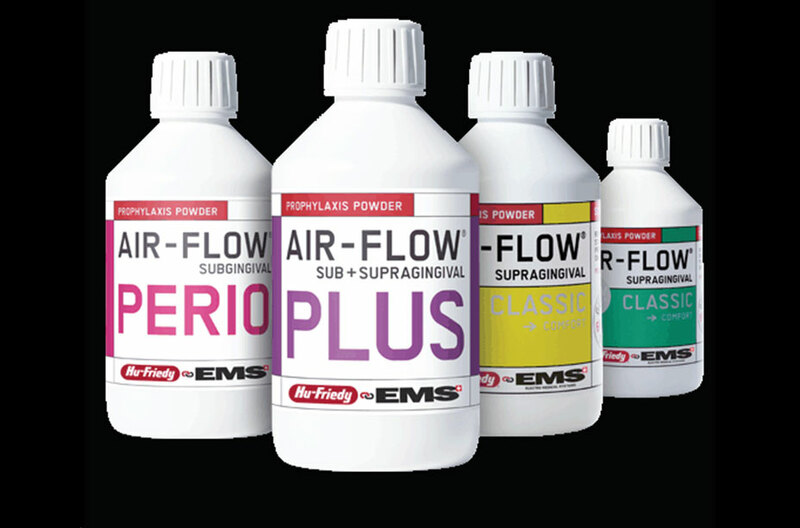 Air abrasion for restoration preparation employs a stream of aluminum oxide particles generated from compressed air or bottled carbon dioxide or nitrogen gas. 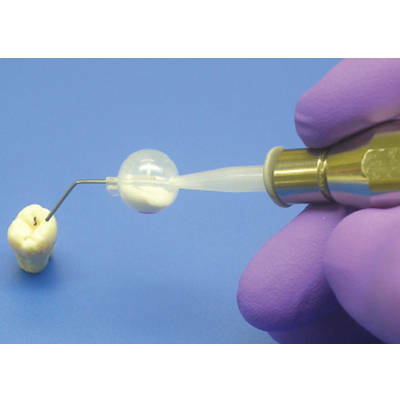 Quantity of tooth removal and depth of penetration depend on several parameters, including handpiece nozzle diameter and angulation, which ranges from 0° to 120° to enable precision cutting and shallow preparations. 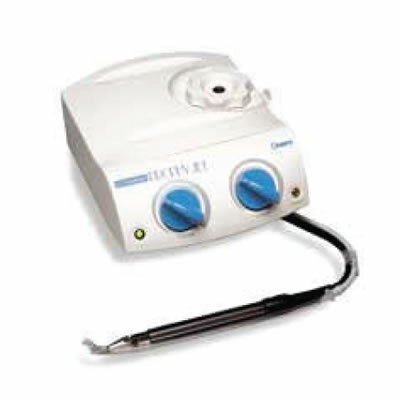 Operator controls are mechanical or digital, with some digital devices enabling pulsed mode operation. 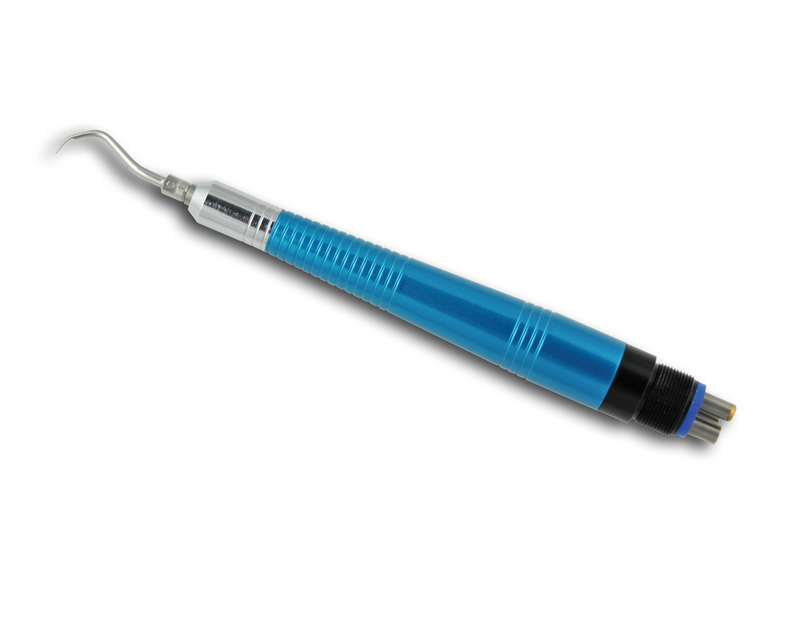 One single-use air abrasion tip uses “house air,” with each tip prefilled with a hard, mild, or soft abrasive powder.